We are known as one of the market leader and prominent pressure reducing valve supplier, manufacturer, and exporter in India. These types of valves are mainly used for various applications, especially where liquid and gas pressure is needed to be reducing. These are also known as a pressure control valve. They can maintain a constant lower pressure in outlet even at higher inlet pressure. The regulator of the valve can reduce the higher pressure to constant lower pressure regardless of the change in pressure or flow. Our all pressure reducing valves are manufactured by expert professionals using best quality raw material and modern technology. The pressure setting device of pressure control valve find system pressure of upstream and allows fluid to flow from it till pressure will attain downstream. Pressure reducing valve is normally actuated by forces which are exerted by downstream pressure. The forces which are establishing the working pressure also create a pressure drop in the main spool of the valve. The setting of the desired pressure is controlled by the main spool adjusting position. It is normally an open type 2 way valve that shifts to the throttle flow. It is used to maintain low-pressure flow in hydraulic system branches. 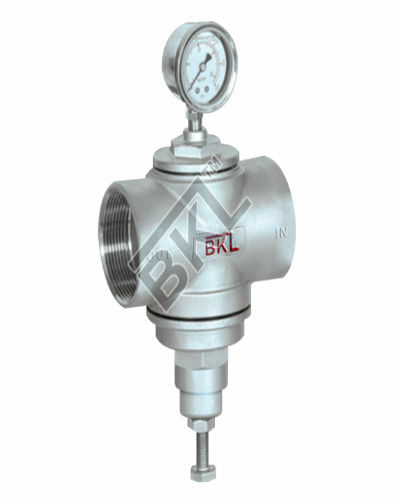 BKL control a leading name as the pressure reducing valve supplier in India, known for long life service, best performance, and reliable operation. Our superior ranges of the pressure reducing valves are used in the installation of various distribution systems in the world. Our offered pressure reducing valve can provide an extreme response by the quick action of sensing and adjusting immediately based on the pressure of downstream. In the operation, it is using the combination of pressure sensor, controller and actuated control valve to control pressure through automatic self contained process without requirement of any external power source. Our each pressure reducing control valves are designed to meet various quality standards. We are supplying these pressure reducing valves at discounted price, especially as per requirement and specification of customers. 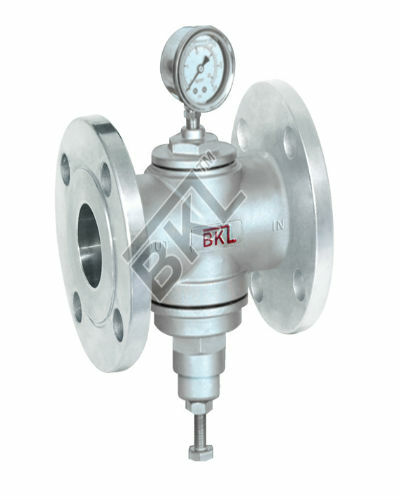 Please contact BKL controls for more information and suggestion of our control valves for your varied application.